This is a song that Mahler made both orchestral and piano accompaniments for, both of which were consulted for this arrangement. Originally in Bb phrygian, transposed here to E phrygian. 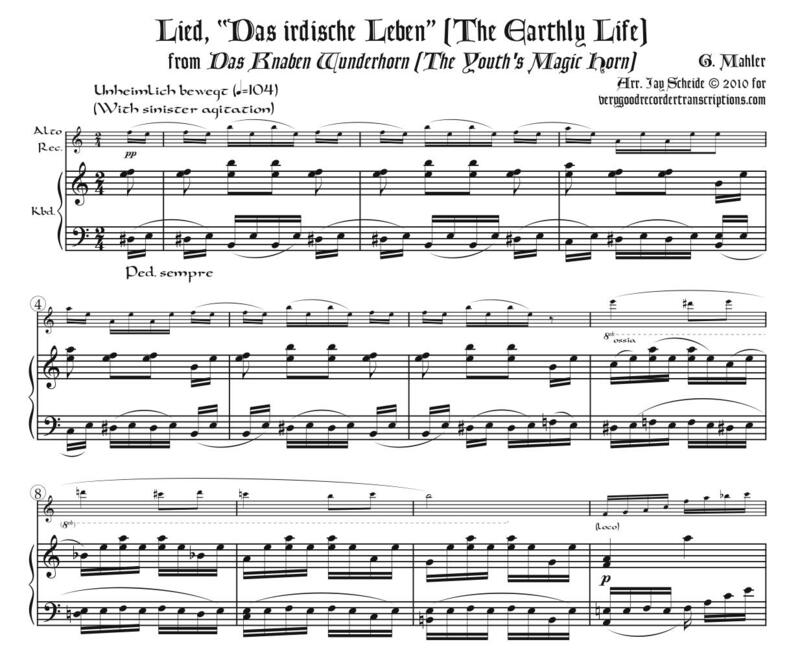 Title means, “Earthly Life", from The Youth’s Magic Horn. Revised 1.31.19.